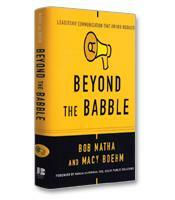 The Communicators redefines the professional strategies and personal qualities that this current age of incessant crisis demands of leaders in corporate C-suites, boardrooms, courtrooms, and in the corridors of political power. Richard Levick's book is designed for executives who want to learn from the best practices of others who have so ably responded to the conflicting demands of multiple audiences and stakeholders. The authors of The Communicators: Leadership in the Age of Crisis bring a considerable amount of credibility to their chosen subject. Richard Levick is the president and CEO of Levick Strategic Communications. His company helps implement media strategies for high-profile organizations during their times of crisis. Charles Slack is a business journalist perhaps best known for writing Hetty, a biography of the first female tycoon and so-called "Witch of Wall Street," Hetty Green. 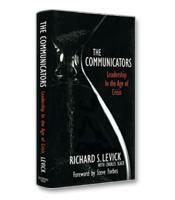 Although the title of their book focuses on the communication facet of leadership, Levick and Slack present a comprehensive, wide-ranging list of 40 straightforward "rules" of leadership in times of crisis. For example, Rule No. 4, "Leadership Is Visible Motion," urges leaders to demonstrate some kind of visible response in a time of crisis. This rule (there are no chapters in the book, only rules) is an example of the typically straightforward but valuable advice offered in the book. A leader must be seen as taking some kind of action, even if that action is reflecting on the situation. After the 9-11 attacks, Securities and Exchange Commission (SEC) Chairman Harvey Pitt moved his base to New York City, to be seen at the location of the crisis, rather than making decisions from Washington. Pitt delayed the reopening of the New York Stock Exchange for various reasons, but kept the public informed through frequent news conferences. Thus, the public understood the reasons behind any delay in opening the stock exchange and knew the SEC was in control of the situation. Rule No. 16, "Leaders Cannot Change Human Instincts," discusses the work of neuroeconomists in linking the natural, evolutionary instincts of humans with their reactions in times of crisis. Offer facts instead of bromides. Telling everyone not to worry doesn’t help. "We are wired to process threats in terms of our personal, immediate survival," they write. A rational, factual appraisal of the situation is more likely to make people see the crisis in non-emotional terms. Recognize where patterns exist — and don't exist. Recognizing patterns — weather changes, behaviors of animals — has helped humans survive. Levick and Slack urges managers to recognize the relevant behavior of patterns in their organizations as a crisis develops. Fight the fixation. Another survival instinct is to focus intently on only one problem or one solution. This fixation can cause people to miss other solutions that may not be so readily visible. The authors recommend a system of checks and balances that allows decisions to be reviewed and assumptions to be challenged on a regular basis. The authors’ common-sense rules — divided into sections covering such topics as accountability, boards, the digital era, litigation, dealing with government and internal leadership — offer an effective overview of leadership imperatives in times of crisis. 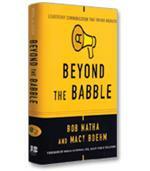 In addition, the stories that anchor each of the rules are unerringly informative and compelling. For example, Rule No. 40, "People Want to Be Inspired," tells the story of Jody Davids, executive vice president and CIO of Cardinal Health in Ohio, whose son, Lance Corporal Wesley G. Davids, died in Iraq the day after he turned 20. Corporal Davids left a letter for his parents in the event of his death in which he asked his parents not to be angry about his death, for he was happy to be doing what he was doing even though he knew the risks. Eventually, Davids realized the leadership lesson her son had taught her. "I had always believed my job was to get people to achieve the mission at hand," Davids explains to the authors. "The new part of my thinking is that what’s really important is to get them to choose the mission." The stories of Davids and others will inspire and teach any leader. These are lessons every executive should learn, especially in an age of crisis.